Rinks around Southern Manitoba are buzzing over the prospect of a star player from our own backyard getting a shot at the NHL. When the Winnipeg Jets lost one of their top players to injury, Tyler Murray was poised to make the most the opportunity. “I’ve been dedicated to getting better and refining my game just in case something like this would happen,” Murray explained. “Even though I was never drafted I felt if I worked hard I could be one of those late bloomers who make it.” Murray was passed over in the bantam draft for the WHL and MJHL and never heard his name called in either of his NHL draft years. A star in Portage Minor Hockey, regional AAA teams, high school, the Keystone Junior B Hockey League, Manitoba Junior Hockey League and Manitoba Major Junior Hockey League, Murray has increased his offensive output and learned to be a two hundred foot player while playing for several Senior A teams over the last four years. Coaches and team mates agree Murray is ready to make the jump from Senior hockey to the NHL. While Murray has not yet signed a professional try out contract with the Jets, he is confident he’ll get a look to replace the Jet’s injured top centre. The Winnipeg Jets confirmed they have not been in talks with Murray about a try out or contract but Murray isn’t worried as he hopes to get something done with the club over the next couple days. The development arc for Murray has been impressive. In AAA bantam for the Central Plains Capitals he put up a mere 12 points in 37 games, but by the time he made the Portage High School team he put up 27 points in 24 games. 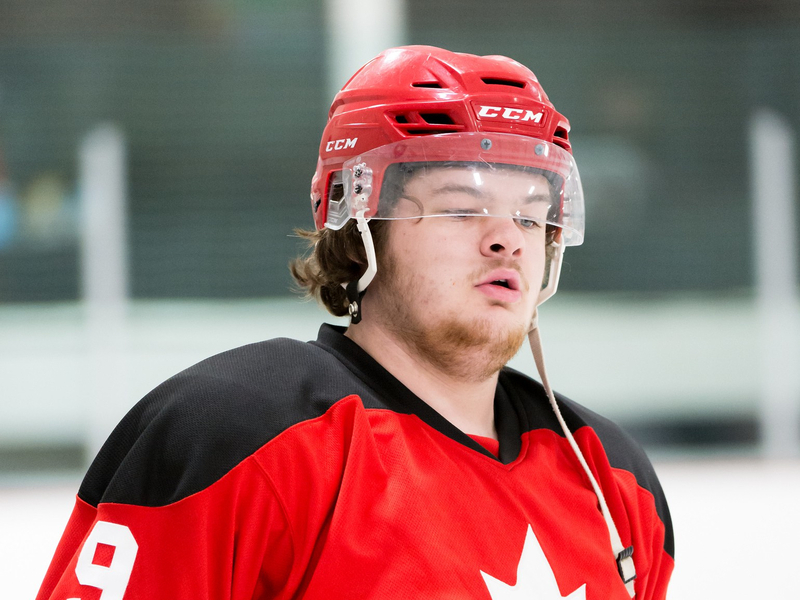 From there he was invited to Junior A camps but opted for the Manitoba Major Junior League’s Pembina Thrashers before being traded to the Stonewall Jets. Despite being held pointless in his first full season he managed to find a spot with the Neepawa Natives of the Manitoba Junior Hockey League where he put up 25 goals in 50 games. The following season he split his time between St. Malo of the KJHL and River East of the MMJHL. A veteran of almost every hockey league in Manitoba, Murray feels the adversity has prepared the 25 year-old for what is next. The Oakville Seals will miss their rising star if he makes the big club. CIPP-TV’s “Get The Puck Out” will be following Murray’s progress with the Jets and provide viewers with updates. Notice to readers/disclaimer – click here to read the full disclaimer and explanation about the satirical and fictional nature of this story and website. Fiction and Satire are generally sure-fire signs the story is made up and not real. You’re smart though and already figured that out. Good for you but this is for the dumb people out there who think Donald Trump and Facebook are real.